The 2019 Climate Change Theatre Action (CCTA) call for collaborators is now open! 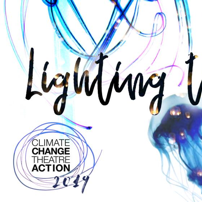 CCTA 2019 is a worldwide series of readings and performances of short climate change plays presented to coincide with the United Nations Santiago Climate Conference of Parties (COP25). CCTA use stories to bring communities together and encourage them to take local and global action on climate. 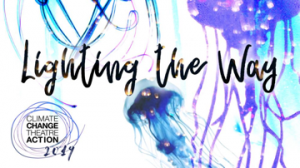 This year’s theme is “Lighting the Way.” Events will take place between 15 Ninth Month (September) and 21Twelfth Month (December) 2019, across the planet. (In 2017, 41 states in the U.S. Representatives of 25 countries also have participated. CCTA provides a collection of 50 short plays from all over the world that address various aspects of climate change; a list of resources to help make your Action effective and unique; organizational and marketing support; and a lot of enthusiasm! You can contribute by agreeing to organize and present an event between 15 Ninth Month (September) and 21Twelfth Month (December) 2019, using at least one of the plays from the collection. 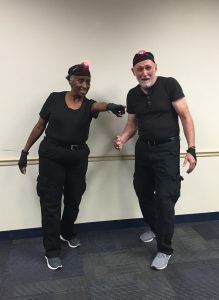 (Full disclosure: One of the plays, Homo Sapiens, was presented at the SEYM 2018 Half Yearly Meeting No-Talent Show by the troupe, Bohn Jeverly—Beverly Ward and John Heimburg.) Your event can be as simple as an informal reading in a classroom or living room, or as elaborate as a fully staged show in a theatre. Please add this opportunity to the list of offerings from the SEYM Field Secretary for Earthcare. For more information about Climate Change Theatre Action and how to collaborate, see their ‘Join Us’ page> or email me!